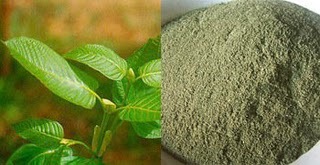 Kratom is an opiate like substance that is in fact a natural herb because it is made of the leaves of a tree, originating from South East Asia, such as the countries Thailand, Malaysia and so on where it has been used for centuries by the people to help against different diseases and make people more energetic and do better at their activities. However, these two countries have kratom illegalized and you face jail if you are caught using kratom or growing it. Of course, not all of the worldwide kratom comes from these countries so do not think the product is fake if on the package it does not say a country from Asia. Countries in Europe and the United States have kratom legalized and people can freely order, grow and use if they want kratom as much as they want on their own risks. The benefits of Kratom capsules are numerous: this tropical plant contains natural compounds that can uplift your mood, alleviate stress, increase your alertness and eliminate pain. But given all the critical media coverage of Kratom recently, you are not alone if you have questions about the safety of this natural plant. Research shows that Kratom is safe if used responsibly and according to recommended dosing guidelines. One study in the journal Central Nervous System Drugs stated that there were no significant adverse effects from using this botanical and that it did not pose the same risks as other opioids commonly prescribed in Western medicine. There have been instances of Kratom abuse where individuals have taken 10x or more the recommended dosage for months on end. In these cases, some serious negative side effects may be observed like addiction and withdrawal symptoms. In order to safely use Kratom, it is advised that you take the smallest dosage required and only use it on an as-needed.